New York Times bestseller: A "highly superior historical novel" about the bond that grows between two men in ancient Athens (Saturday Review). Alexias is a young aristocrat living during the end of Athens's Golden Age. Prized for his beauty and athletic prowess, Alexias studies under Sokrates with his closest friend, Lysis. Together, the young men come of age in an Athens on the verge of great upheaval. They attend the Olympics, partake in symposia, fight on the battlefields of the Peloponnesian War, and fall in love. The first of Mary Renault's celebrated historical novels of ancient Greece, The Last of the Wine follows Alexias and Lysis into adulthood, when Athens is defeated by Sparta, the Thirty Tyrants take hold of the city, and the lives of both men are changed forever. 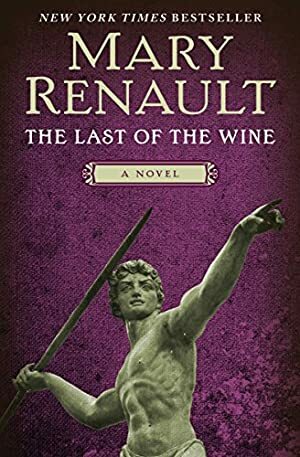 Through their friendship, Renault opens a vista onto ancient Greek life, uncovering its vibrancy, culture, and political strife, and offers an unforgettable story of love, honor, loyalty, and the remarkable bond between two men. The price of this book has changed 114 times in the past 2,141 days. The lowest price to date was $1.99 last reached on February 12, 2019. This book has been $1.99 10 times since we started tracking it. The highest price to date was $12.39 last reached on May 9, 2018. This book has been $12.39 one time since we started tracking it.